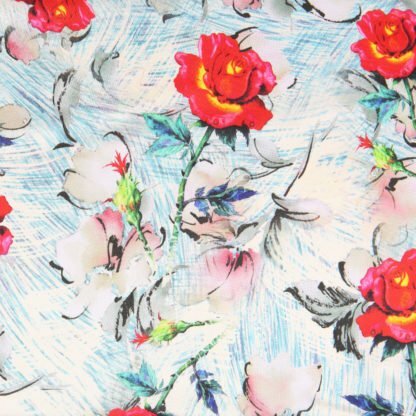 A gorgeous vintage red rose floral print on a silk and viscose mix satin fabric. 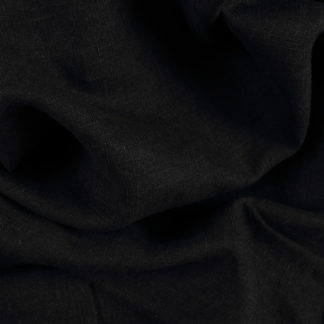 Wonderful drape and soft texture to the luxurious fabric. 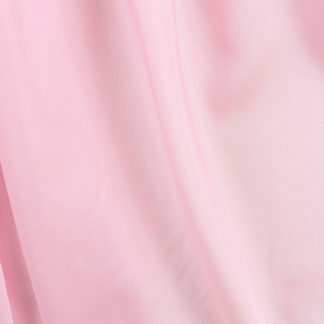 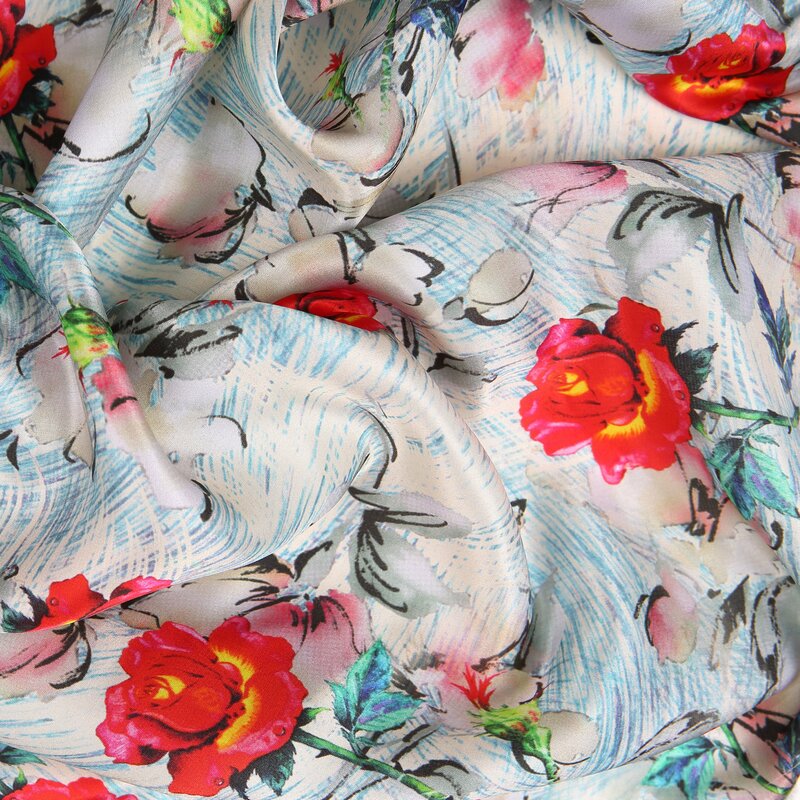 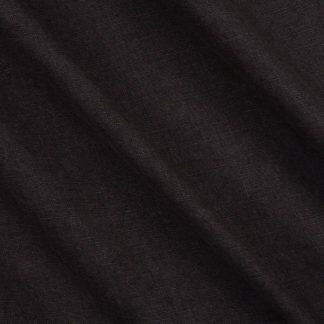 A gorgeous flowing fabric with silky soft texture, this will be great for unstructured garments. 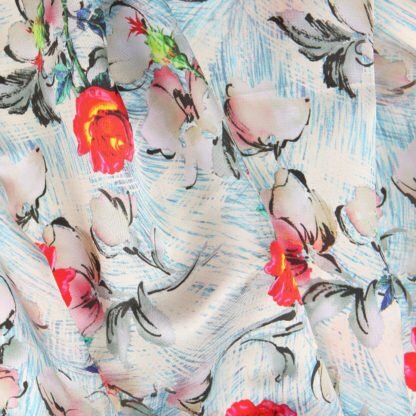 Perfect for dressing up, summer floaty dresses and maxi skirts. 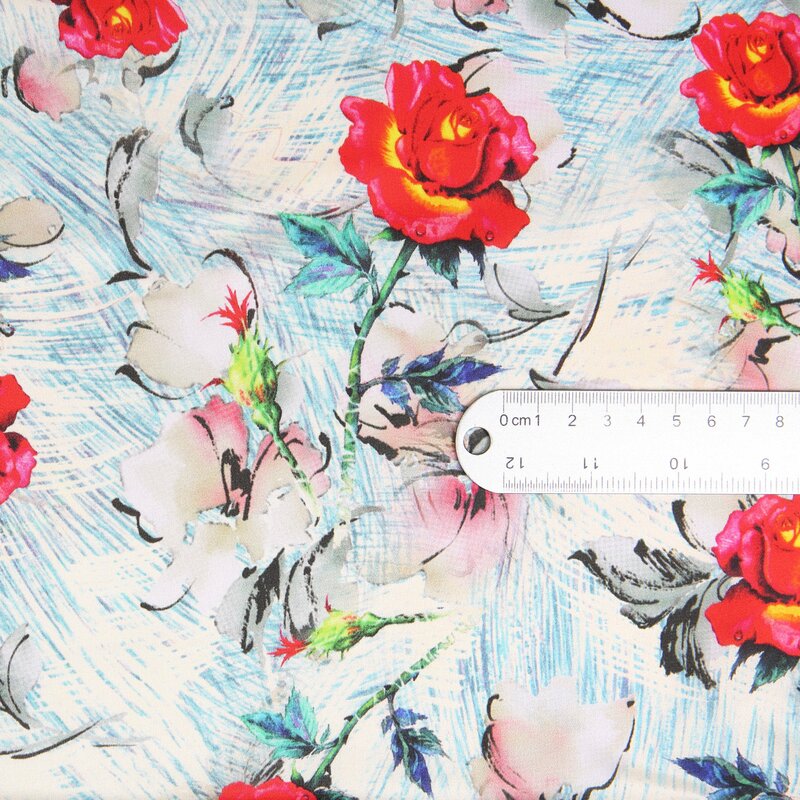 How about a glorious lining in a jacket or coat, to make your project truly individual.